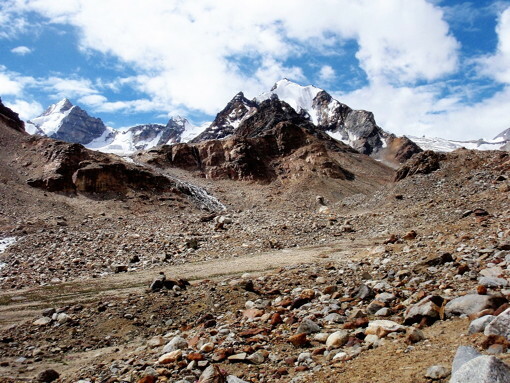 Since 2009, I have been exploring Southern Zanskar of Indian Himalaya to find the veiled unclimbed peaks. I explored Giable Nala, Lenak Nala, Reru Valley, Temasa Nala, Gompe Tokpo and Haptal Tokpo. 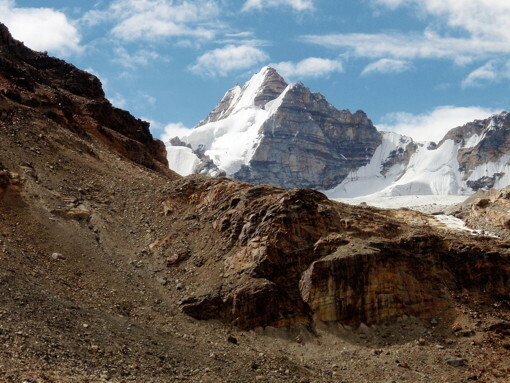 We are pleased that thirteen expedition parties already challenged the virgin peaks in the Southern Zanskar which I introduced in my exploration records. During August 3rd~ 27th in 2016, I went to Mulung Tokpo with Akira Taniguchi and Toshio Itoh to explore Mulung Tokpo which is located in the north west of Padam, one more north valley from Hapatal Tokpo. In Mulung Tokpo, there are not so many 6,000m peaks, but all peaks in this area have no climbing record according to the information of IMF (Indian Mountainneering Foundation). 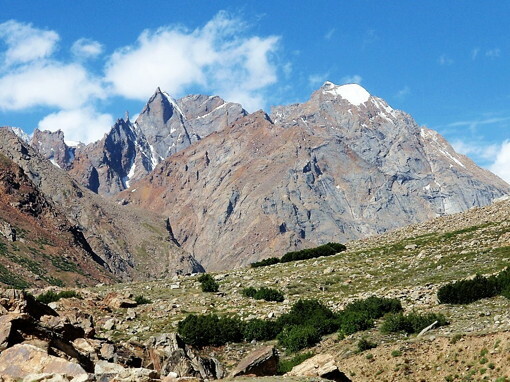 We arrived at Delhi on August 3rd and reached Padam on August 8th via Kargil by a chartered car after spending two days in Leh for acclimatization. On August 9th, we stayed at Padam to visit Thonde Gompa and Karsha Gompa to pray for our safe exploration. On August 10th, we visited Jhunkul Gompa by car. Then, we started our trekking from Tokhta Bridge near Ating Village and pitched our tents on the left side of Mulung Tokpo, just opposite side of Jhunkul Gompa. We expected to see P5830(M1) and 6124(M2) on the top of Chhabar Tokpo, but we could not peep the inside of this branch because of the high rock wall with the waterfall. On August 11th, we moved to Sampuk. We saw P5491(M10)and P5582(M9) in Nabil Tokpo which is going up to Omasi La. On August 12th, we trekked to Gaura just before the junction of Nabil Tokpo and Mulung Tokpo. Our trekking pace was very slow, as I had a sprain in my right ankle. We expected to see P6010(H10)at the top of the un-named left side branch of Mulung Tokpo, but we could not see this peak because the branch was blocked with high rock wall. 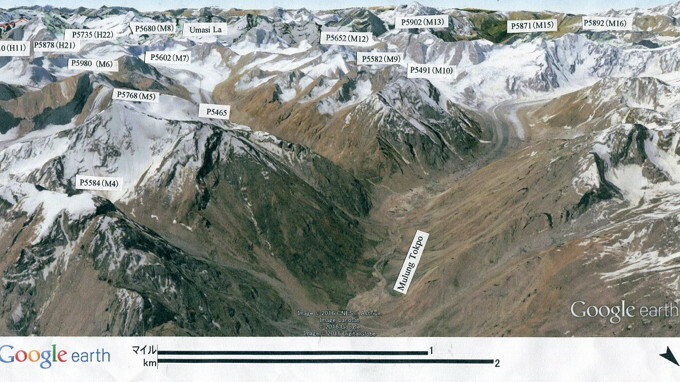 However, we could enjoy the nice view of P5902(M13), P5871(M15) and P5892(M16) in the Mulung Glacier. On August 13th, we had a hiking to the glacier tongue of Mulung Tokpo. There are the beautiful small lakes just before the glacier tongue. 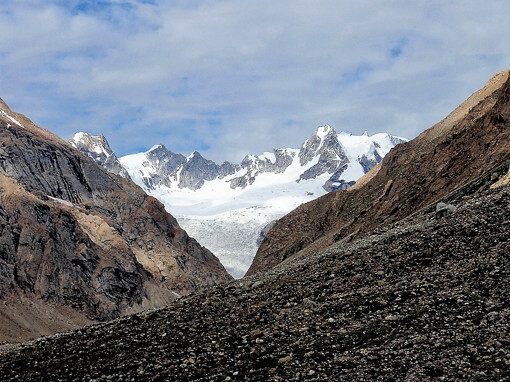 Three peaks in Mulung Glacier, M13, M15 and M16, are very attractive and will surely fascinate many climbers. We hope some climbers will challenge the unclimbed peaks in Mulung Tokpo in near future. Originally, we planned to spend three days to explore Nabil Tokpo by carrying up our tents. But we were obliged to change our schedule because of my right ankle sprain. On August 14th, Akira Taniguchi, Toshio Itoh, Tsewang Yangphe (our guide) and Gyamtso (our kitchen stuff) went up Nabil Tokpo as one day hiking. I gave up to join them, because I judged that I could not climb up the steep slope at the entrance of Nabil Tokpo. They left Gaura camp site early morning and came back around 5pm. They went up to the spot just before the junction of Haptal Glacier and Kanthang Glacier. 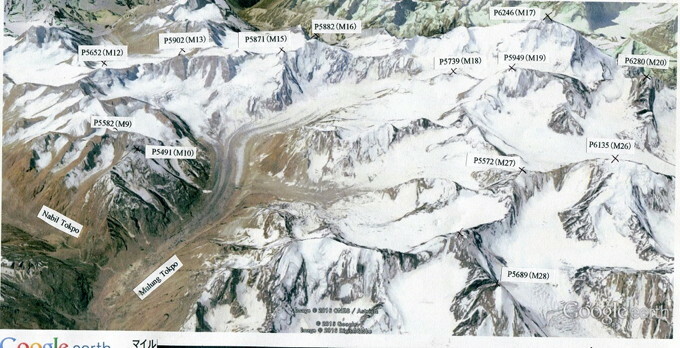 They saw the challenging peak P5878(H21) in Haptal Tokpo and P5602(M7) at the junction with Kanthang Glacier. We enjoyed the leisured several days in Mulung Glacier and went back to Padam on August 19th. After we visited Chiling, we came back to Leh on August 24th. This time, we could not see any 6,000m peaks, but we were very happy to see several attractive veiled virgin peaks in Mulung Tokpo area. 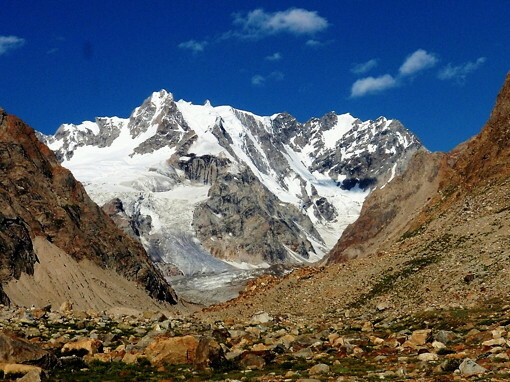 We hope some climbers will challenge these unclimbed peaks in this valley at no distant date.